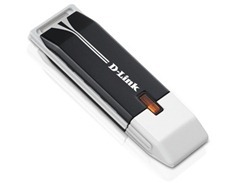 The D-Link RangeBooster N USB Adapter (DWA-140) is a 802.11n compliant wireless client for your desktop or notebook PC. It delivers up to 12x faster speeds and 4x farther range than an 802.11g network while staying backward compatible with 802.11g networks. Once connected, you can share a high-speed Internet connection, photos, files, music, printers, and more. Delivers up to 12x faster speeds and 4x farther range than 802.11g. Access secure networks using WPA or WPA2 encryption. There are multiple revisions of the DWA-140, each with revision specific drivers, firmware, installation guides, and other resources. D-Link DWA-140 (rev.B) RangeBooster N USB Adapter is based on Ralink RT2870 series chipset. * Fix when edit profile might cause UI button disappear or two profile be created under Windows 7 and Vista.